The small Dayton courthouse became one of the most famous scenes in history with the 1925 Scopes Trial. The trial pitted the three-time presidential candidate and famous creationist William Jennings Bryan against well-known criminal lawyer Clarence Darrow and the American Civil Liberties Union in a test of Tennessee’s anti-evolution law. Local teacher John T. Scopes became the scapegoat in this epic eight-day battle of legal drama. The trial attracted over two hundred journalists and became one of the world’s most famous court trials. The Scopes Trial remains one of the most intriguing episodes in American history. In 1977 the National Park Service designated the courthouse as a National Historic Landmark and over one million dollars were spent in a restoration project. 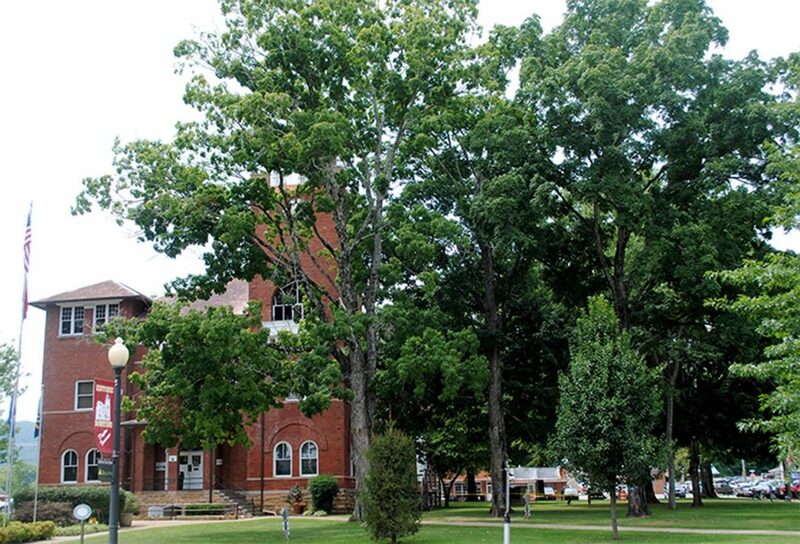 Nine of the original trees that witnessed this epic event still survive on the courthouse lawn. These ninety-year-old trees are living reminders of national and state history.